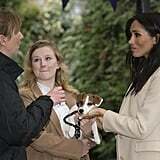 Meghan made a trip to Mayhew, one of her four new patronages. 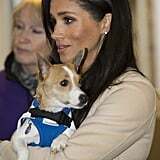 Relevant to both Meghan and Harry's animal-loving interests (the couple adopted their dog, Oz, in August 2018), Mayhew is an "animal welfare charity working to improve the lives of dogs, cats and people in communities both in London and internationally." 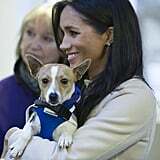 The charity also works "with homelessness charities across London to ensure people and their dogs can be kept together." 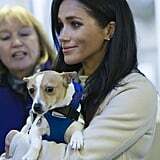 Meghan, who looked amazing in a $35 H&M dress, met some of those pets and their owners during her visit. 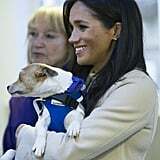 It's been a busy couple of weeks for the duchess. 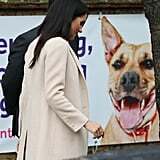 She visited Smart Works immediately after announcing her new patronages, then she and Harry took a trip to Birkenhead to visit organizations helping the community. 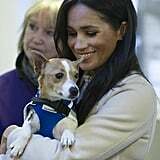 This evening, the Duke and Duchess of Sussex will see Cirque du Soleil at the Royal Albert Hall. 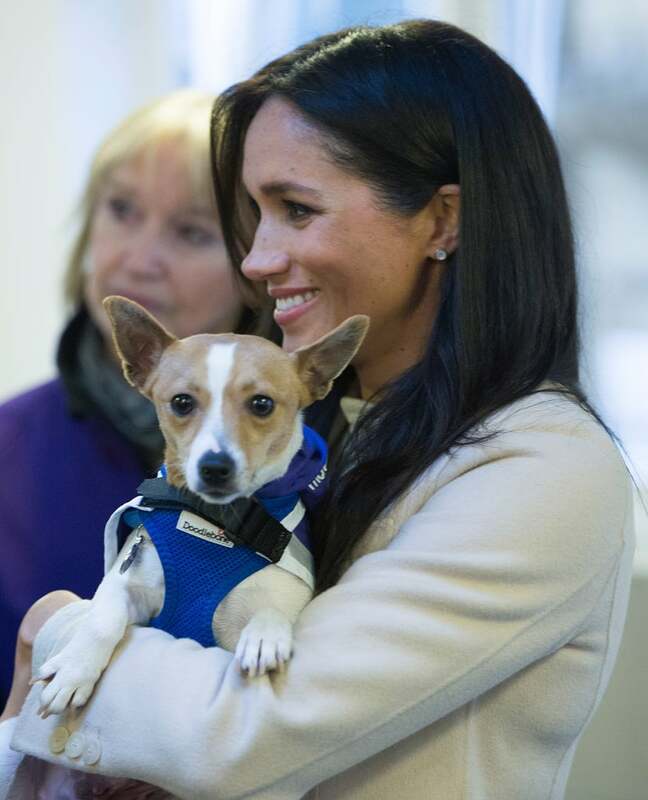 Ahead, get a look at Meghan's visit to Mayhew, making sure to give the sweet dogs just as much attention.